Exit planning is a community, not a competition. Collaboration among advisors and partners is critical when helping a business owner build transferable value while aligning their business, personal and financial goals. CEPAs are united around one core methodology and process. They believe in one organizing principle and they share common goals. It is not a one tool fits all marketplace or solution. Good exit planning allows for the integration of many. In this session, Joshua Koza, EPI Client Experience Manager, will provide an overview of these collaborative and industry-leading partners that CEPAs are able to utilize to effectively execute Value Acceleration with their business owner clients and drive results. These partners, a part of our Exit Solutions Marketplace, provide CEPAs with delivery and assessment tactics and tools, project and engagement management systems, marketing solutions and strategic advice, revenue generating opportunities, educational platforms, and content, and a set of unique expertise to effectively engage and help business owners in exit planning. Through this powerful community, CEPAs are changing the outcomes for business owners. Exit Planning Institute is the authority in exit planning and value acceleration and Certified Exit Planning Advisors are leading the industry and changing outcomes. The Monthly Member Access series is your opportunity each month to connect with the EPI Global pulse. Adding more resources for those who aim to make exit planning a major focus, Full Membership provides Certified Exit Planning Advisors (CEPA) the implementation support needed to unleash that revenue stream. Full Membership includes monthly mentorship calls with EPI Global Vice President, Scott Snider, along with an annual subscription to the EPI Monthly Deep-Dive Webinar Series. Full Membership is exclusively available to professional advisors who are in pursuit of or have earned CEPA designation. For questions about membership, please contact Josh Koza at JKoza@Exit-Planning-Institute.org. The Certified Exit Planning Advisor is the most regarded exit planning credential in the marketplace today, endorsed and accepted by more than 20 major organizations. The CEPA 5-day credentialing program is offered five times a year in locations across the country. Advisors who earn the CEPA designation have the ability to holistically serve business owners’ needs regardless of the timing of their exit. CEPAs lead teams, enable educated decisions and create positive change for their clients. They transform into the Advisor of the Future. Reinvent yourself with exit planning. Josh Koza is the EPI Client Experience Manager and is committed to the member experience and advancement of CEPAs worldwide. As a professional with a wealth of experience in customer service and UX, Koza works tirelessly to arm advisors with the tools and benefits (while advocating for the creation of new programs and solutions) that will make them more effective in their individual marketplaces. 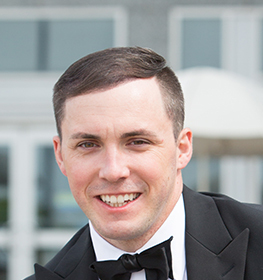 Josh Koza, supported by his dedicated customer service team, is every CEPAs point person to harness the full expanse of their member benefits.